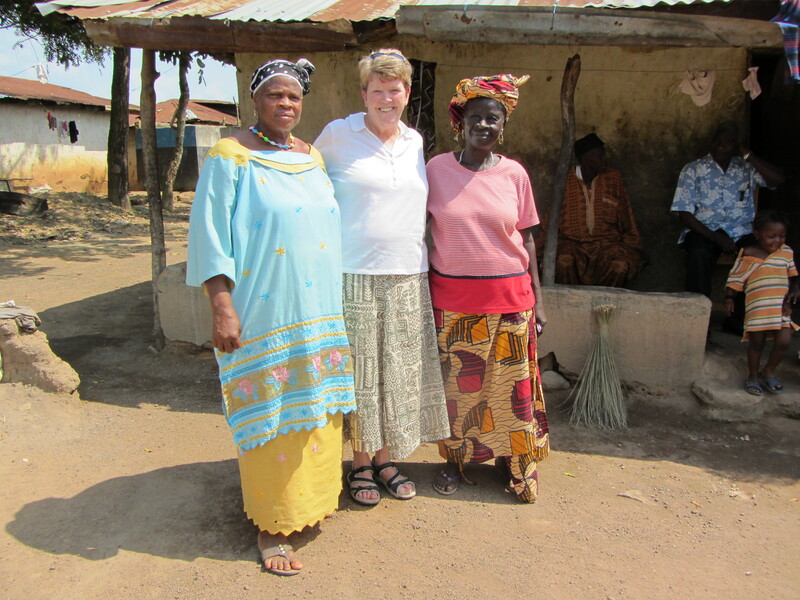 Sister Geraldine and I will be doing Mission Appeals in the Green Bay Diocese this weekend so if you live Marinette or Gillette we would love to meet you. We are very happy to be able to tell the story of SSND in Africa!! 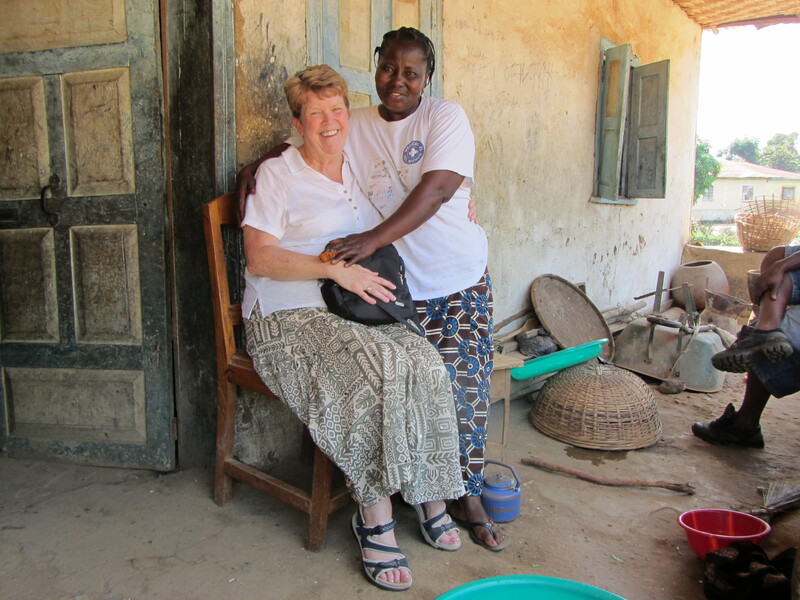 In the last post I talked about my reunion with Fatmata who had been our cook in Kabala. My trip to Kabala brought even more reunions. Here are some of the pics. AG Suma, Mary Suma and James Suma. James was three years old when I left. Komoh (on the right) was a friend from the very beginning. She has a daughter named Kathy. 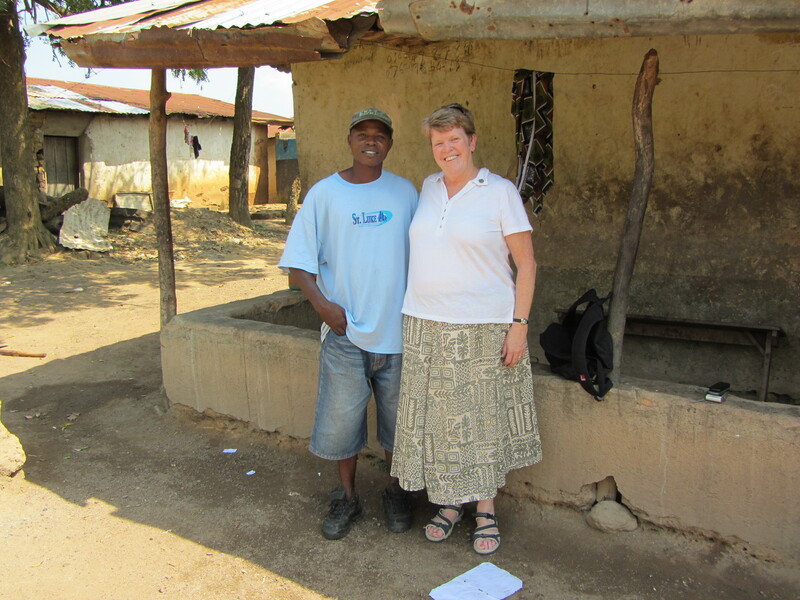 Balla worked for us during Secondary School and Carpentry school in exchange for school fees. He is now the mission carpenter in Kabala. It was a total surprise to see him! Categories: Uncategorized | Tags: kabala, Sierra Leon, travel | Permalink. 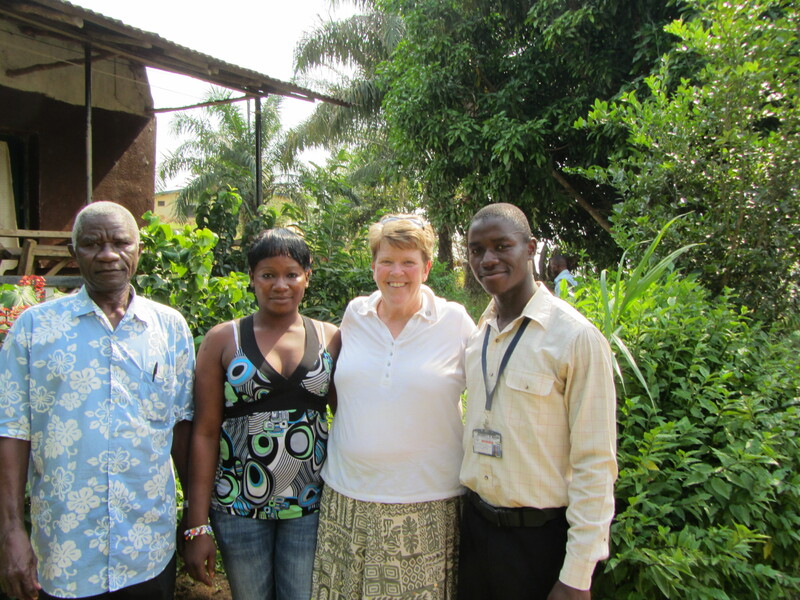 I will start this blog by remembering my visit to Sierra Leone last November and December. I did a blog while I was there but it is interesting to notice what “sticks” from the experience. The one thing that makes me smile when I think of it was visiting up in Kabala which is where I lived for most of the time I was in Sierra Leone. The place had changed tremendously — some for the good and some not so much. I hadn’t told anyone I was coming up to visit so I got to surprise them. We arrived at the house where Fatmata was living. She was our cook and did the “brooking” (the laundry) for us. She is a lively person with three lovely children. When we drove up to the house and she recognized that it was me. She began yelling,”My grandmother is here, my grandmother is here!” I am only about 10 years older than Fatmata so I was a little taken aback. But it was wonderful to see her. A lot had happened since I left. She and her husband split up and the girls are all grown. Somehow they all managed to survive the way, but it took its toll on all of them. Categories: Uncategorized | Tags: Sierra Leone | Permalink.